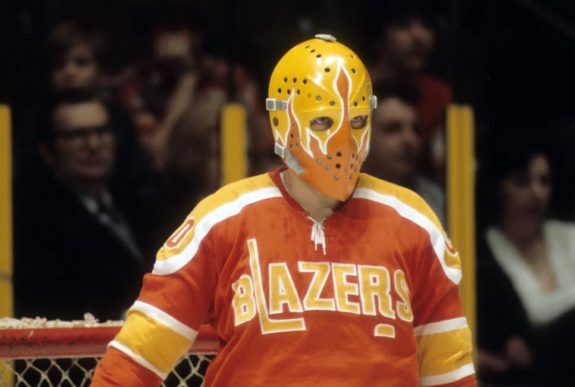 As the National Hockey League continued to prosper in the early 1970s, there was a demand for more teams in more cities throughout much of the United States and Canada but at such a high risk, the league was hesitant to attempt to grow too quickly. After all, it took almost 41 years to branch out from the “Original Six” format and add six additional teams. With smaller markets craving professional hockey, it was clear that there was a legitimate possibility in creating a rival to the NHL, both in attendance and television ratings and thus the World Hockey Association was created in 1972. The WHA wasn’t the first league that started in an attempt to steal the NHL’s thunder but it remains the most successful to date. The goal of the WHA was to capitalize on the lack of teams in several major cities but without players who were household names, it seemed evident that the league wouldn’t stand a chance – much like the Western Hockey League and Pacific Coast Hockey Association that came before it. The newly formed league reached deep into its pockets – much to the dismay of the NHL – and signed sixty-seven NHL players, the biggest of whom were Gerry Cheevers, Bernie Parent and Bobby Hull – who earned an unprecedented 10-year, $2.75 million contract with the WHA’s Winnipeg Jets. The following year, the league would bag the biggest name in hockey – Gordie Howe – after the NHL turned its back on “Mr. Hockey”, creating major friction between the two leagues that would never vanish. In its embryonic stages, the WHA consisted of 12 teams – the New England Whalers, the Cleveland Crusaders, the Philadelphia Blazers, the Ottawa Nationals, the Quebec Nordiques, the New York Raiders, Winnipeg Jets, the Houston Aeros, the Los Angeles Sharks, the Minnesota Fighting Saints, the Alberta Oilers and the Chicago Cougars. Many of the nicknames had cultural significance for their specific areas which helped quickly grab the hearts of that specifics city’s fans. Many believed placing teams in cities where NHL franchises already called home would be potentially fatal but the WHA stuck with the plan and on Oct. 11, 1972 the first crop of games were played by professional hockey’s rival league. The league was broken into two groups – the Eastern Division and the Western Division – and it took little time during the inaugural 1972-73 campaign before it was clear who the dominant teams were. Out of the east, it was the Whalers who finished on top after the 78-game regular season – finishing with 94 points and a record of 46-30-2. Finishing five points behind New England was the Crusaders, followed by the Blazers, Nationals, Nordiques and Raiders. In the west, Hull and the Jets finished the season with a 43-31-4 record, which was good for 90 points. The Aeros kept it close but in the end finished eight points behind and were followed by the Sharks, Saints, Oilers, and lastly the Courgars. In the first All-Star Game, East was pitted against West and although the WHA didn’t have quite the same firepower as the NHL, it did have players like Hull, J.C. Tremblay and Andre Lacroix. Fans were still enamored by the newly-formed league and 5,435 turned out to watch the event in Quebec City on Jan. 6 but it paled in comparison to its big brother’s All-Star Game which packed Madison Square Garden with 16,986 souls. Four teams from each division made the playoffs – eight in total – and it was evident during the league’s first playoff run that there was little parity in WHA. The opening round of the postseason featured four series, none of which made it to a do-or-die game seven – in fact, none during the postseason did. Cleveland beat up on the Blazers, completing a sweep on the road in Philadelphia. With goaltender Gerry Cheevers in net, it was clear the Crusaders were a force to be reckoned with, as the 32-year-old was fresh-off two Stanley Cup championships – not to mention the Ben Hatskin Award as the league’s best goaltender. New England convincingly beat the Nationals 4-1 in the opening round, thanks to Terry Caffery, who won the Lou Kaplan Trophy as the league’s best rookie. Winnipeg had little issue with Minnesota, thanks to Hull at the helm. The 34-year-old had already won the Stanley Cup, along with countless NHL trophies and proved to be worth his salary, earning the Gary L. Davidson award as the league’s most valuable player. For Houston, it wasn’t quite as easy – beating the Sharks in six games. There would be little competition in the second round, as New England and Winnipeg each rolled over their respective opponents. For Cleveland, it was the closest the team would ever get to a championship, while Houston was just one year away from greatness – and a line made up of Gordie Howe and his two sons, Marty and Mark. The first-ever WHA Finals were set and the two teams would battle for a prize that could never reach the mythical status of Lord Stanley’s Cup – the Avco World Trophy (later renamed Avco Cup). The name of the trophy came from the AVCO Financial Services Corporation, who donated the trophy – along with $500,000 – to the league when it began. It appeared as though the two best teams had clearly made it to the finals, but no one must have told that to the Whalers. 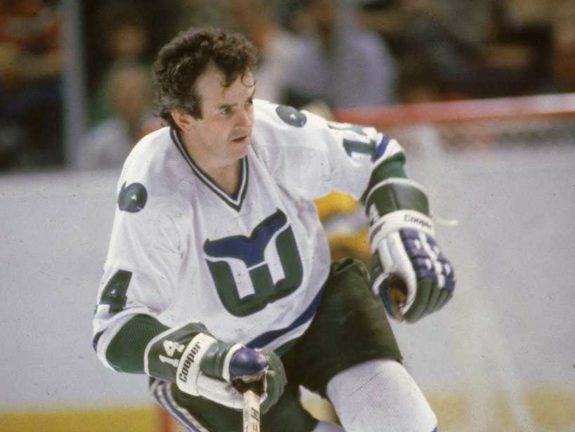 On May 6, 1973, New England finished off the Jets in just five games – it would be the Whalers’ only championship, both in the WHA and later in the NHL. The Whalers finished the postseason with a 12-3 record, scoring 70 goals and allowing only 49, good for a goal differential of 21. To put it into perspective, the next closest team in goal differential was Cleveland who finished with 11. After its inaugural season, the WHA continued to expand – perhaps too quickly for its own good. The follow season, the league added two new teams to its lineup and before long there were franchises folding faster than they were starting up, making it difficult for the league to get any consistency. During the 1976-77 season, it became clear that the league was suffering financial troubles. Many of the NHL talent the league had signed just a few years earlier had jumped ship and headed back to the competitor, while other players knew it was only a matter of time before they would have to find steady work somewhere else. By 1979 the league’s fate was set, but not before one last glimmer of talent. 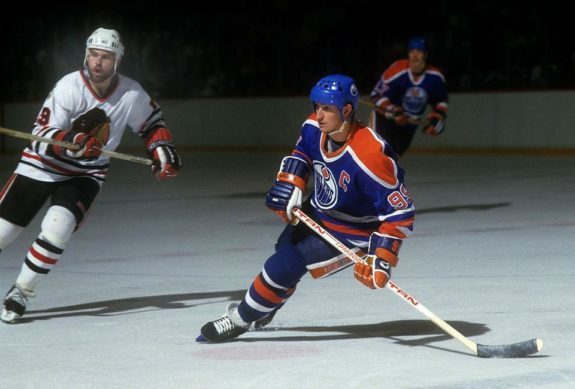 That talent was Wayne Gretzky and Mark Messier, and the team was now known as the Edmonton Oilers. The up-and-coming talent of the hockey world was still going through the WHA in the hopes of boasting their career and accomplishing their NHL dreams, rather than suffering hockey purgatory in the American Hockey League. The two were turning heads and prepping for legendary careers but it was too little too late. In June of 1979, the league officially folded – but its legacy did not. With most of the teams having already folded, there were only six franchises left – the Cincinnati Stingers, Birmingham Bulls, the Oilers, the Whalers, the Nordiques and the Jets – that still had their proverbial heads above water and after months of negotiations, the WHA and NHL reached an agreement and four of the WHA’s remaining six teams were purchased by the NHL and added to the league. The Stingers and Bulls were each paid $1.5 million in compensation and the NHL added the teams through an expansion. The WHA might have only been in the league for about eight years, yet it certainly helped benefit the game of hockey. NHL scouts took notice of the European talent that the young league had found and groomed and it too began sending over scouts. The NHL also took notice of the WHA’s new rules of payment and no longer paid players a fraction of the league’s profits, allowing for higher salaries. The WHA had big plans but simply could not compete with a juggernaut like the NHL. It might just be a blip in the history of today’s league but its importance to the development cannot be understated. ** This story was originally published in May of 2013.